There's a certain glossy fashion mag that many think of as a style bible for its far-reaching ability to set trends and inspire culture-hungry consumers. 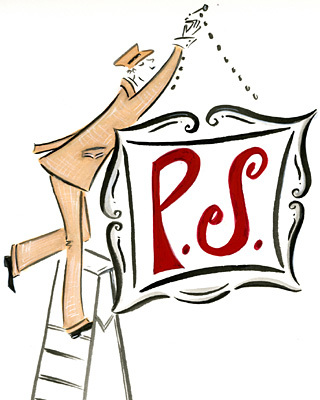 But in Florence one of Europe's style meccas � there's an exclusive new guide to all things fabulous and Firenze! Developed by in-the-know insiders at Four Seasons Hotel Florence, the Firenze Su Misura, or Craft Shopping Guide, is a 315-page (how's that for comprehensive?) handbook for finding the city's chicest stuff. And unlike the aforementioned magazine, it doesn't stop at fashion � inside, you'll find home d�cor, leather goods, pottery, lighting, perfume and more! You'll shop like a local and walk down the city's winding streets with authority with the Firenze Su Misura � available in both Italian and English � as your reference. From old-world artisans to hot new designers, the guide contains all the secrets for exploring this romantic Renaissance city in style. Don't miss your chance to pick up this hot-off-the-presses Style Bible during your next stay at Four Seasons Hotel Florence. Ciao! 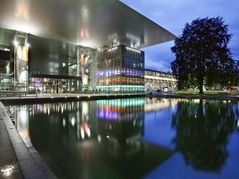 From the 24th March to the 1st April 2012 the LUCERNE FESTIVAL at Easter will be taking place at the KKL Lucerne. The Lucerne Festival at Easter has a lot to offer, from Claudio Abbado and his Orchestra Mozart from Bologna, Nikolaus Harnoncourt and the Concentus Musicus Vienna or Andr�s Schiff with the Cappella Andrea Barca. Come to Lucerne and get in the right mood for Easter. This month Villa d'Este celebrates its 140th birthday. The staff is returning and resuming their posts to ready and welcome returning guests upon arrival. March first marked the official opening day of the opening season. Lake Como in all its splendor. Originally built in 1568 as a Summer retreat for the Cardinal Tolomeo Gallio of Como, it was owned in successsion by a ballerina and a Napoleonic General, a Queen without a crown, a Russian Empress and minor aristocracy. It was the year 1873 when a group of Milanese businessmen inaugurated the hotel and promoted the lake region as a tourist attraction. Edith Wharton, Mark Twain,Giuseppe Verdi and John Singer were among the first visitors to grace the shores of Lake Como with their presence. Villa d'Este is much more than an Hotel... the Luxury and the Magnificence of a bygone era are maintained intact.... we simply added all the modern comforts and up-to-date facilities without disturbing the aura of palatial authenticity. Jean-Marc Droulers, is no longer the C.E.O. of Villa d'Este however he has not gone far since he has become the President of Villa Erba with headquarters down the road. He will be missed but fortunately Danilo Zucchetti who joined Villa d'Este six years ago has become the General Manager of the Villa d'Este Group.